Many exoplanets have been discovered so far, and some even have atmospheres. However, these are usually large gas planets like Jupiter. 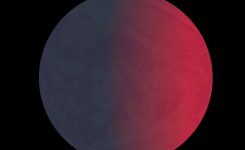 For the first time, scientists have confirmed an atmosphere on GJ1132b, which is a terrestrial planet about the same size as the earth. 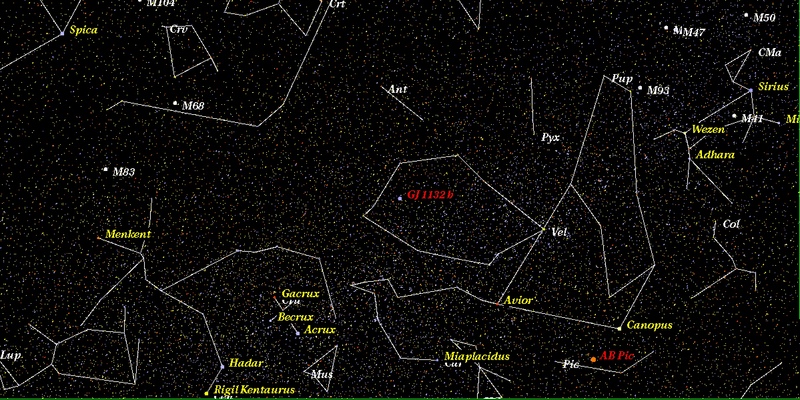 GJ1132 is an M type star that is about 39 light years away from earth. 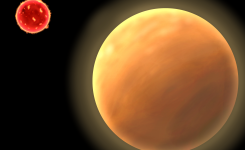 The planet that surrounds it is 1.4 times the size of earth and 1.6 times the mass. It was actually discovered in 2015 and was thought to be similar to Venus. The questions is, why does a planet of this size have an atmosphere? 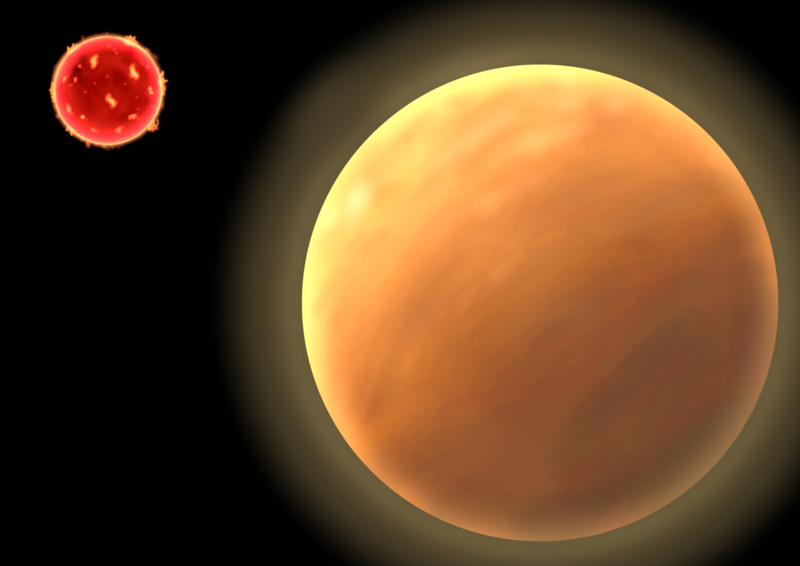 The exoplanet’s atmosphere was first observed using the transit method. The the planet passed over its host star, and the light from the star dimmed very slightly. By this method we can detect if a star has a planet orbiting it. The larger the planet, the dimmer the light becomes. In our solar system, it’s the same as when the moon or Venus passes in front of the sun, much like an eclipse. (Like the solar eclipse that occurred recently in America) However, the light reduction amount differs depending on the wavelength of light. So depending on a particular wavelength, the planet’s size can be determined. In other words, it is thought that substances that transmit light of a certain wavelength, and do not pass light of another wavelength are clinging to the surface of the planet. So it would be reasonable to think that gas, or in other words, atmosphere exists on the planet. 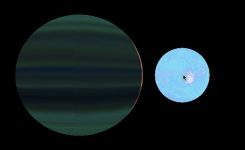 By measuring the various wavelengths of light from GJ1132b, by means of its host star GJ1132, the full wavelength average (planet atmosphere radius) is 1.43±0.16 the Earth’s radius, the solid body portion (in other words, the planets ‘surface’) radius is approximately 1.35 that of Earth. 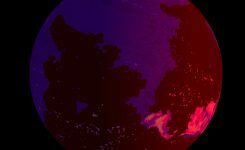 Also, due to the fact that the particular wavelengths for the planet’s atmosphere radius is large, we know that this thick atmosphere contains water vapor and methane. 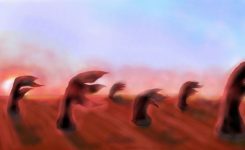 In this way, a terrestrial planet having an atmosphere (including water vapor and methane) could hold the possibility of life. 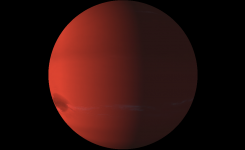 However, unfortunately GJ 1132b’s surface temperature is estimated to be 370℃, which makes life extremely difficult. On the other hand, since there are a lot of M type stars around the earth, it is anticipated that more planets like this will be found.